This course is designed for seventh grade students in regular classrooms or individualized learning programs in which students progress through the material as rapidly as desired or as slowly as necessary. The course consists of six, soft-cover student texts with six companion activity books in saddle-stitch format. Every lesson begins with theme art and an engaging narrative from "Professor K" designed to draw students into the lesson. The course covers basic math concepts beginning with simple properties and extending through calculations of powers and roots, percentages, volume, weight, temperature, area, and unknowns. 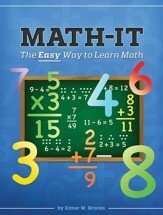 Students receive a solid foundation in scientific notation, metric systems, basic geometry, graphs, square and cube roots, PEMDAS, grouping, fractions, decimals, percent and interest. Students learn how to understand and complete word problems, especially those types which appear on state academic assessments. Q: Solutions manual? I have tried contacting the company and have not gotten a reply at all. Do either maths come with a solutions manual? Thank you. 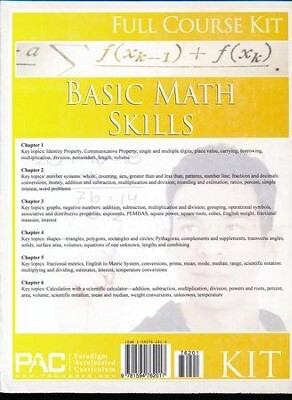 The "Full Course" kits do come with a Teacher's Resource Pack that includes answers, but not step-by-step solutions. 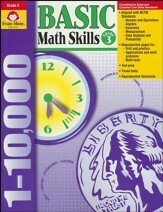 I'm the author/artist and I want to review Basic Math Skills Full Course Kit.